While movies and TV romanticize New Year’s Eve with glittery parties, sequined dresses, and sparkling champagne, in reality, the high-stakes holiday has been a let down to almost everyone at least once in the past. The elegant parties usually devolve into red plastic cups and hopping between multiple events until you have lost track of a few people in your party. The sequined dresses never have a coat to match or you end up freezing anyway. And, after a glass or two of bubbly, you tend to switch to cheaper — let’s face it, less classy — drink options. At about 11:59 p.m., many of us will be asking ourselves, “Why didn’t I stay home?” If you want to bypass the chaos and have television as your date for New Year’s Eve, have no fear. Here’s how to stream the New Year's Eve TV specials that will let you usher in 2016 from the comfort of your own couch. So, you want to watch the ball drop on TV this year? There are plenty of holiday specials to choose from as we roll into 2016. And, there are a few options for streaming, even if you don’t have a TV. Unfortunately, there is one exception, as it seems Pitbull's New Year's Revolution on FOX cannot be streamed. Still, whether you are having a party at home, watching TV specials with a few friends, or are celebrating solo, there are a lot of parties to catch on air, and online. 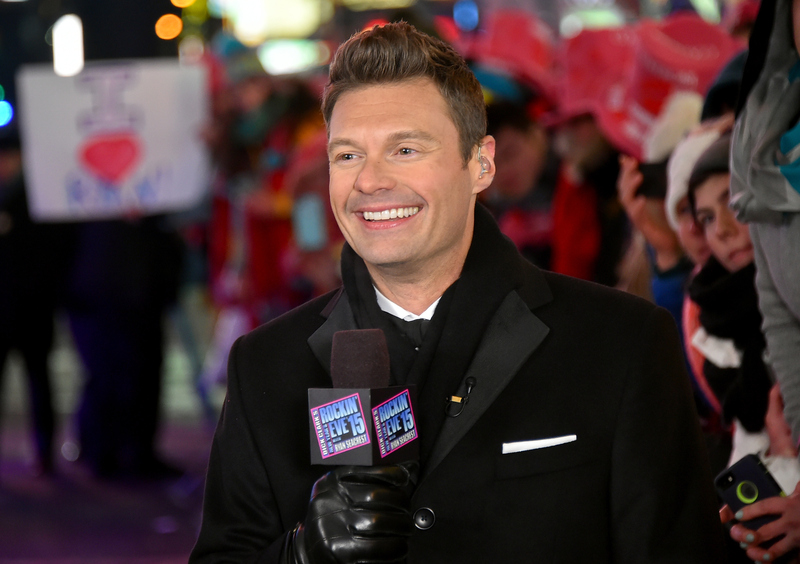 Ring in the New Year with Ryan Seacrest’s perennial holiday special, featuring Carrie Underwood, Demi Lovato, One Direction, and more. The festivities begin at 8 p.m. ET, and certain areas can live stream the special on ABC's website if you login with a cable subscription, or by using the WATCH ABC app. Join hosts Anderson Cooper and Kathy Griffin on CNN for the holiday TV event — these hilarious friends have been known to go off script on previous NYE specials. The banter starts at 8 p.m. ET, and can be streamed with CNN’s live-streaming site, CNNGo. You can stream Carson Daly’s New Year’s special starting at 10 p.m. ET on NBC's website if you login with a cable subscription. If you only care about the big moment, you can watch the ball drop in Times Square online via timessquareball.net. The live stream begins at 5:55 p.m. on Dec. 31.